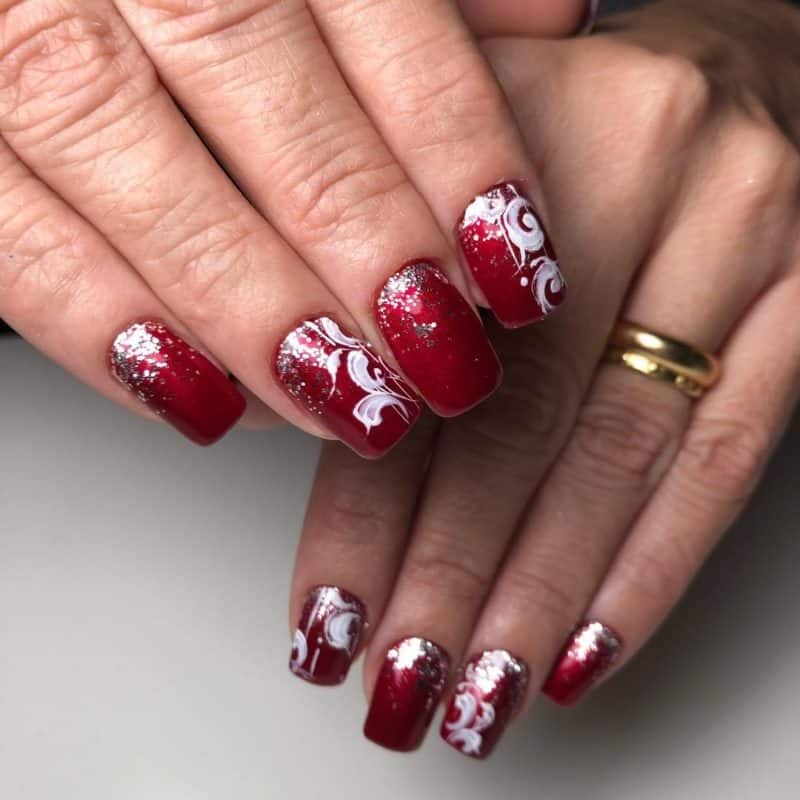 In case you are interested in color shades that will be popular in 2019, read our article about winter nail colors 2019. Nail color shades change season by season. 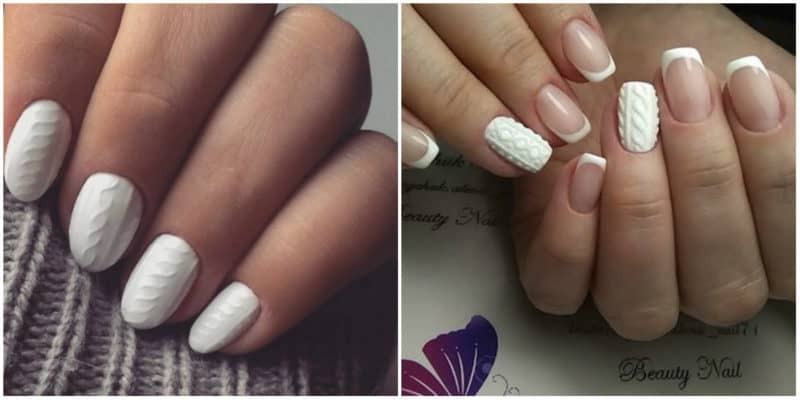 Want to have modish nails, then follow what’s going to be in fashion for each season. 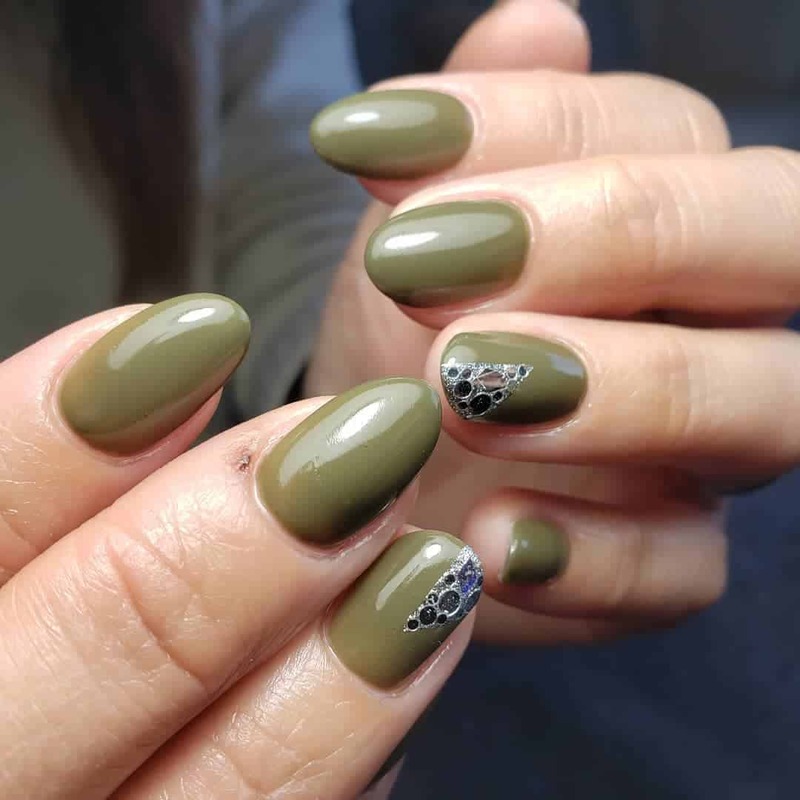 Season changes serve as a source of motivation for ladies to switch up their nail colors and designs. Winter shades always differ with their gentle, light hues. There are colors that are associated with winter. Generally white and gray are considered to be winter colors. 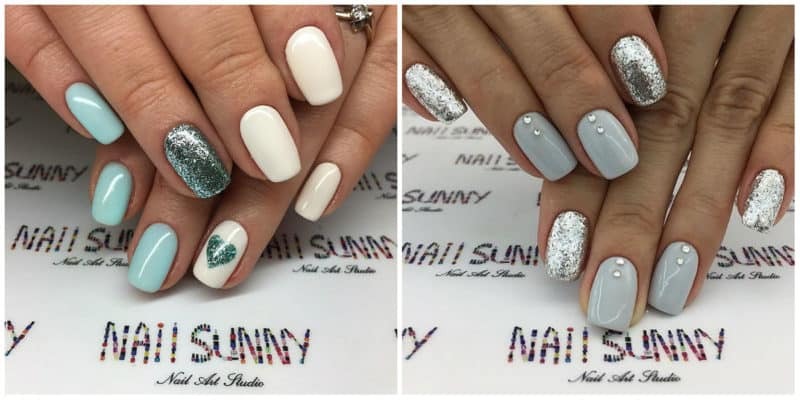 So, white and grey nail polishes are always trendy throughout winter. 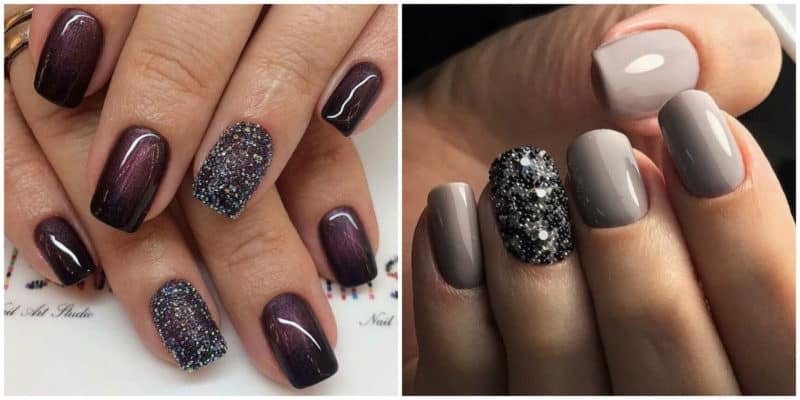 Shimmery, pigmented and bold polishes are the best winter nail colors 2019. 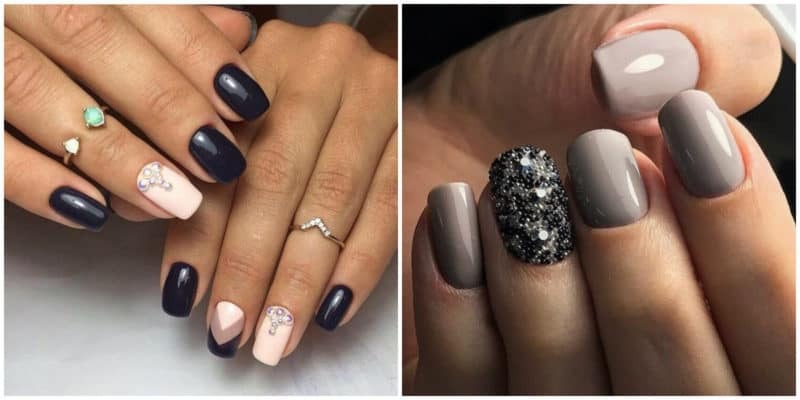 So, let’s see which winter nail colors 2019 will make you excited. As you may have already noticed deep green is a dominant color in fashion. 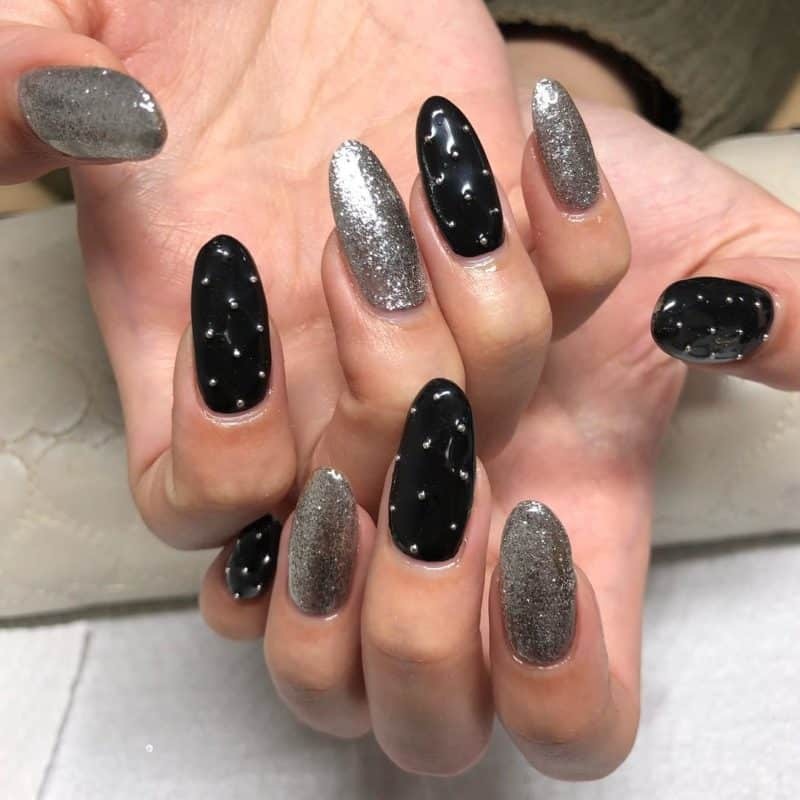 Moreover, it is going to be a dominant color tinge in the best winter nail colors 2019. It looks great with dark and light colors. By the way, one of the best matching colors with deep green is the marmalade yellow hue. So, don’t think that deep green is difficult to match with any other color. 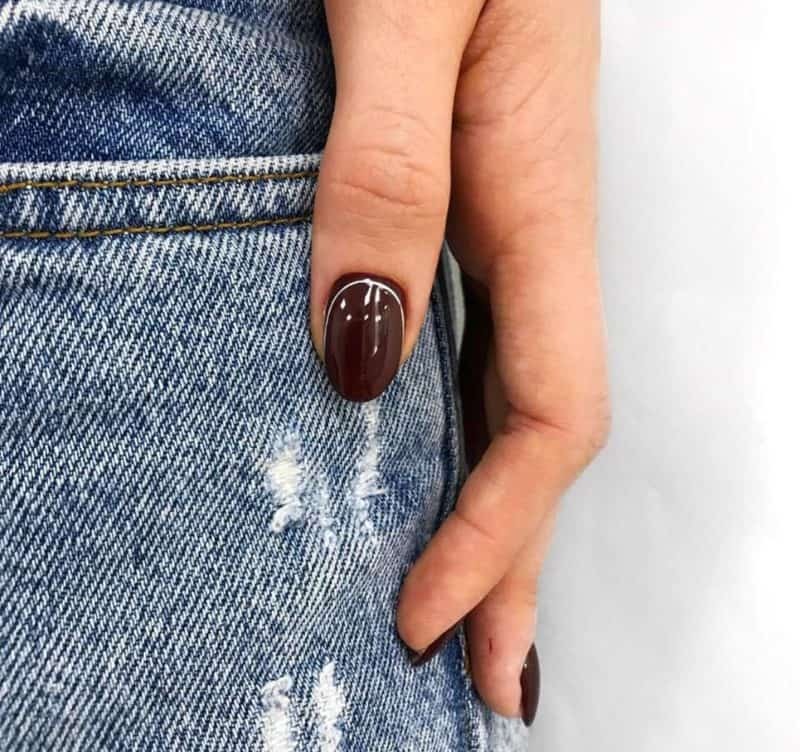 It’s hard to imagine the palette of the best winter color nails 2019 without bordeaux. Have you noticed that this color shade has been in fashion for already several seasons? Bordeaux blouses, dresses, lipsticks are still popular. The same goes for bordeaux nail polishes. 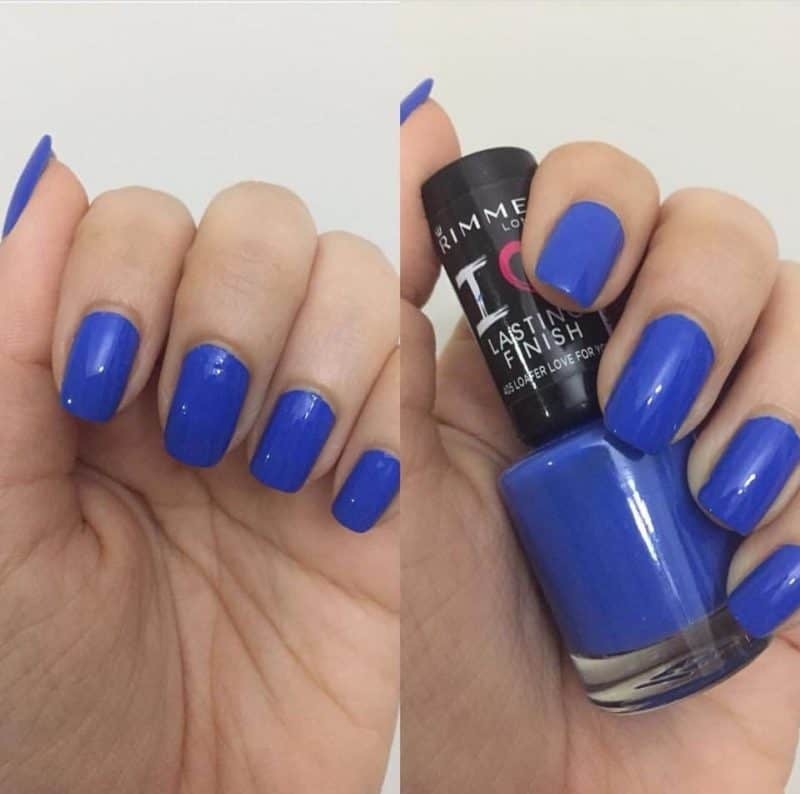 So, be sure that this color shade will make your nails look attractive and beautiful. Fashion industry rocks with the purple color. Now it’s impossible to imagine the runways without this color. It has several shades that are also voguish. 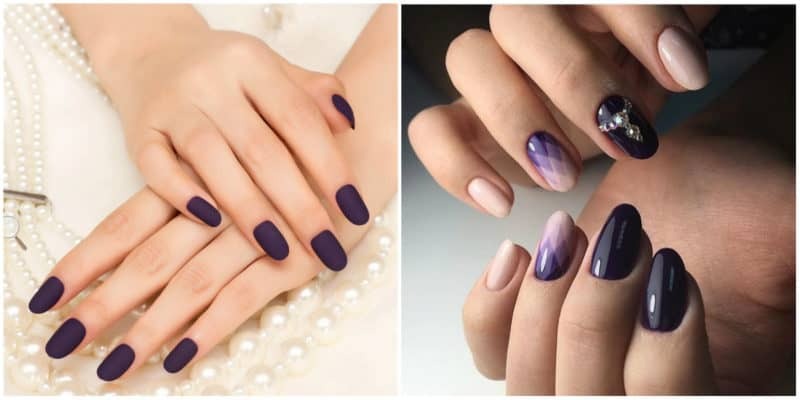 So let’s see what color shades of purple will suit your nails and casual looks. Essie’s soulmate color shade that is aubergine will provide a trendy look to your nails. You may apply the matte aubergine shade as well. 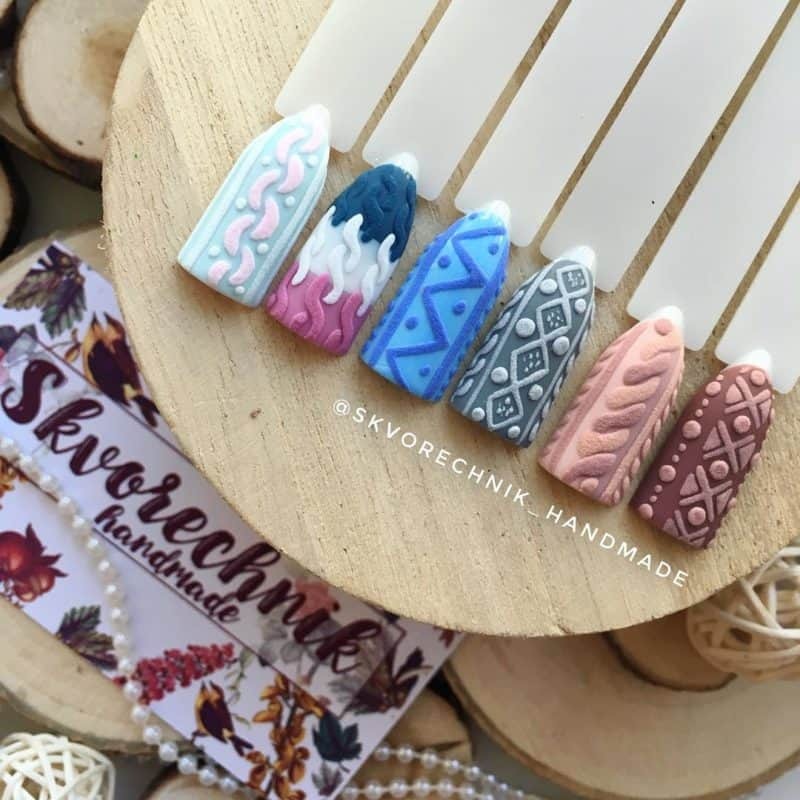 Use this shade to create different nail styles and ornaments. 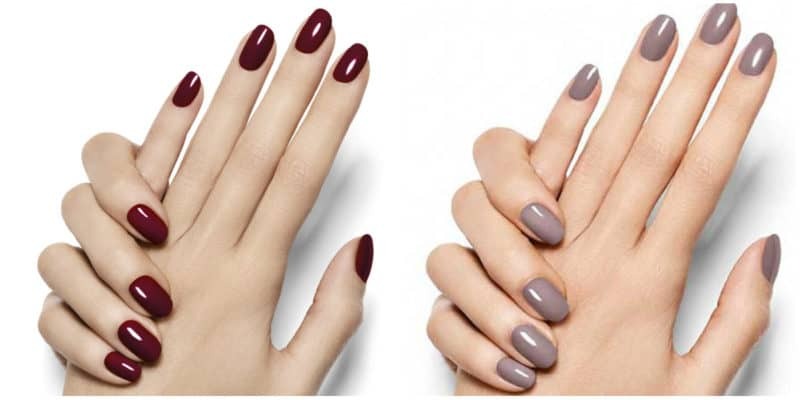 Your nails’ trendy look can be provided by another modish color hue, which is the plum nail shade. Essie nail polish brand has this shade, which is called Bahama mama. 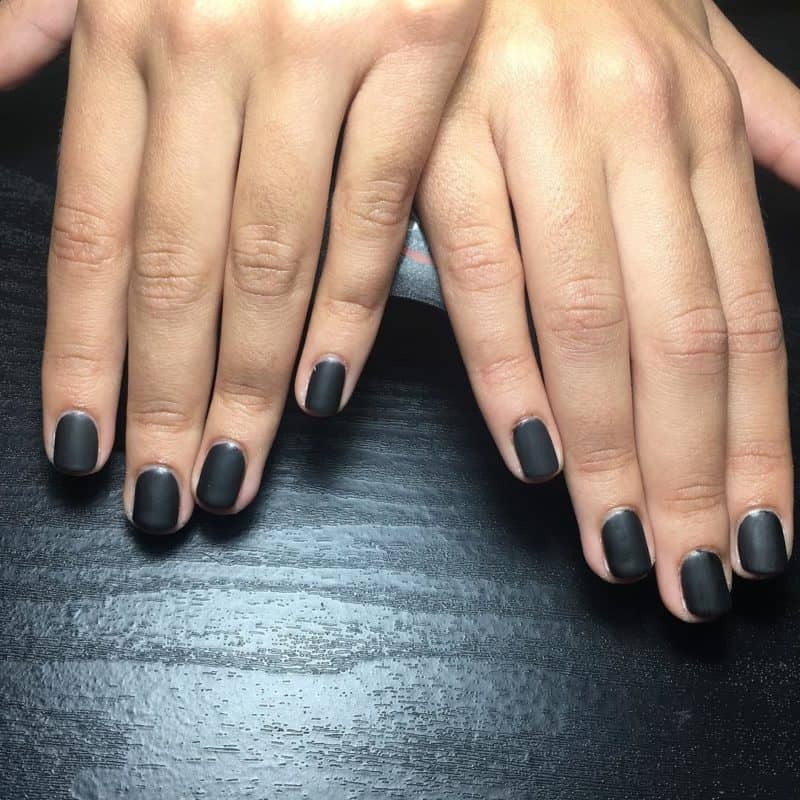 This color was on the runways of New York fashion night in 2018. 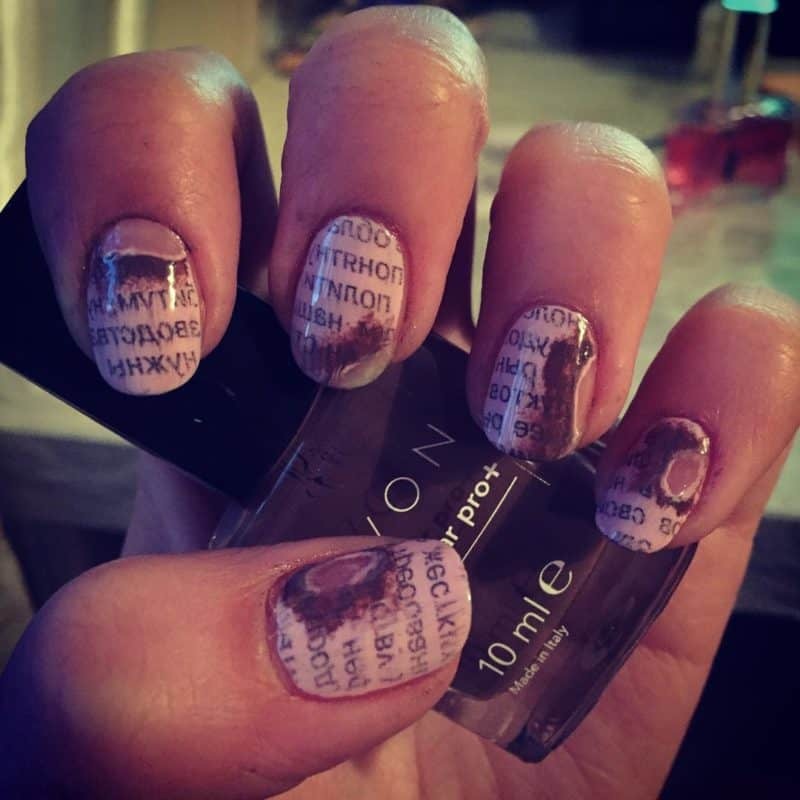 So many nail masters get their source of motivation from these fashion shows. 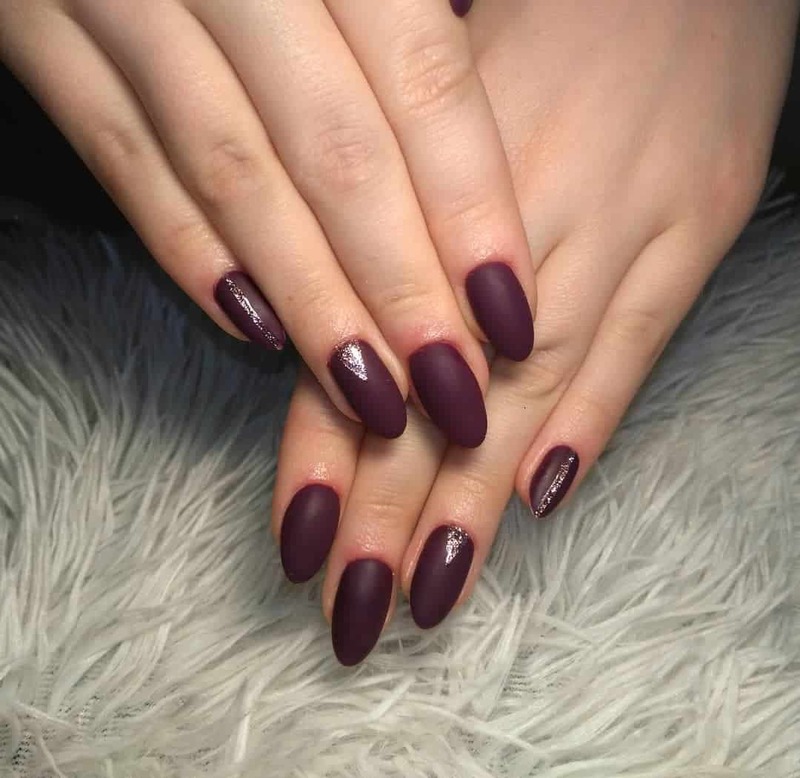 Here are purple shades they you may like and choose as your winter nail polish colors 2019. However, there are people who can’t imagine that this color may be dominant as a winter shade. By the way, you may use some of the purple nail shades for bridal nail designs as well. These colors may be the lighter shades of purple, like lavender, orchid, heather or iris. You can apply these shades as the base color or for creating a nail style. 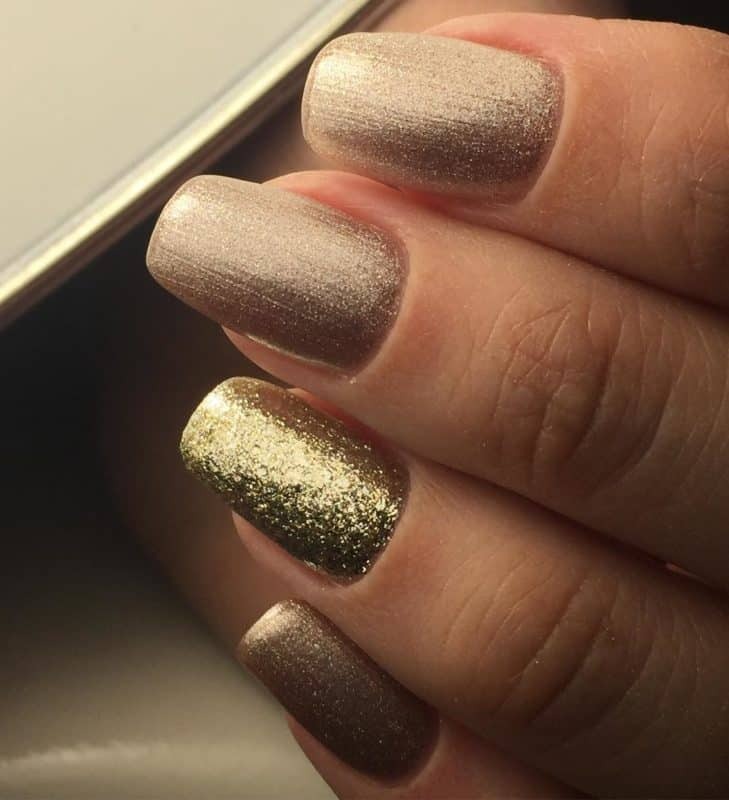 Be sure they will give a non-ordinary and a unique look to your nails. Do you think that pink is no longer fashionable? You are mistaken. 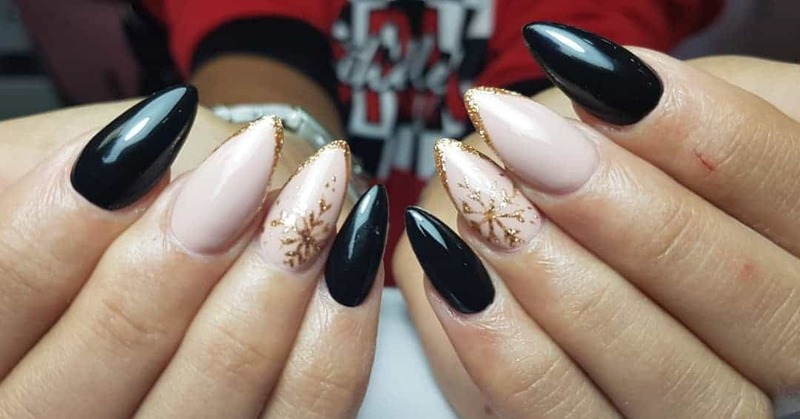 Another shade of pink, known as baby pink, is one of the most often used shades of the best winter nail colors 2019. You may use this color shade as the base when applying French instead of using sheer white nail polish. It’s impossible to imagine winter without white. It serves as a symbol of this season. Not only white, but also its shades will be popular in 2019 fashion. Mirage lake and so on. As you notice, shades of blue are many, so it will be difficult to choose if you have all these shades available. You can choose one that will suit your casual look. 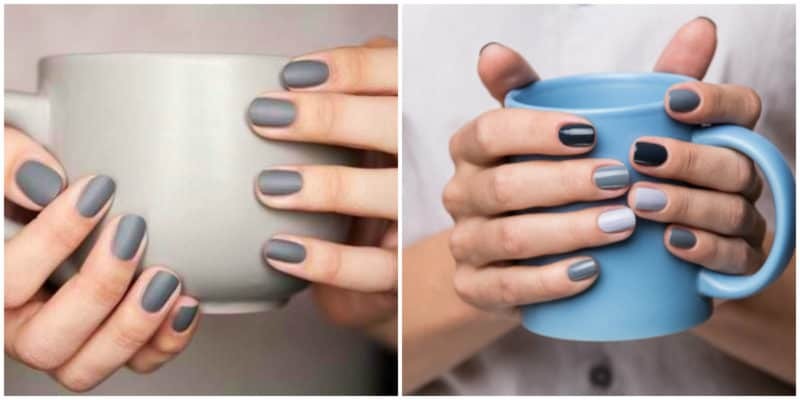 The palette of winter nail colors 2019 would be incomplete without grey. It accompanies the white color during winter. Moreover, it is just as practical as white. 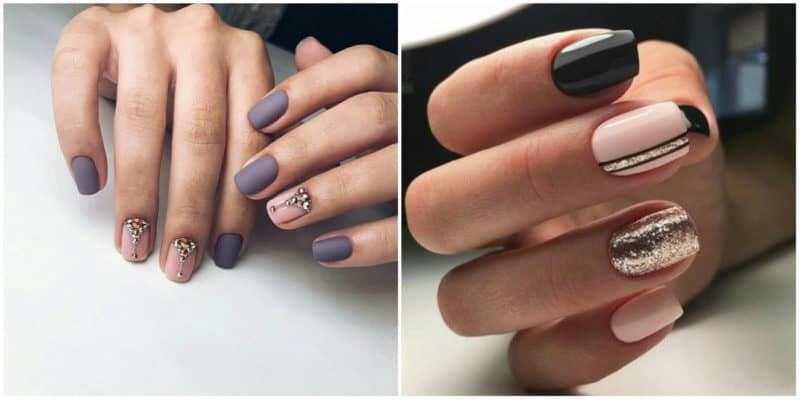 So many women prefer grey nail color. 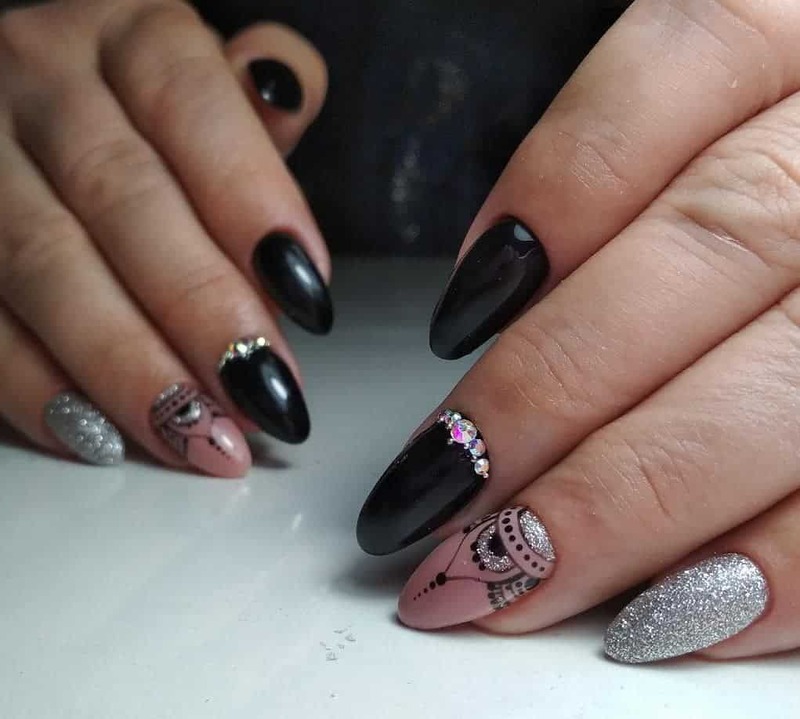 In case you want something non-ordinary, then use special nail design effects, such as rhinestones, beads or ornaments. 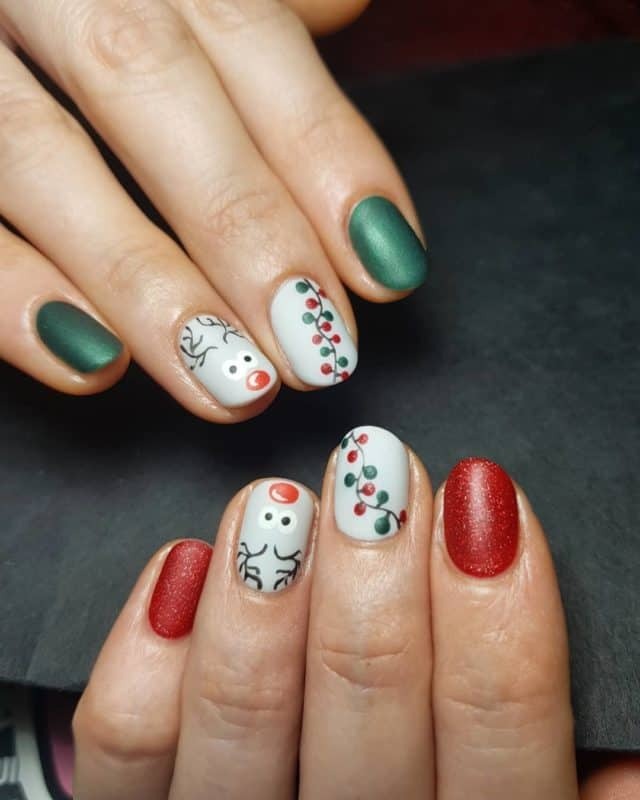 In case you are searching for ideas for white nail designs with ornaments, then be aware that sweater ornaments will go on to be dominant ornament styles of nail design 2019. 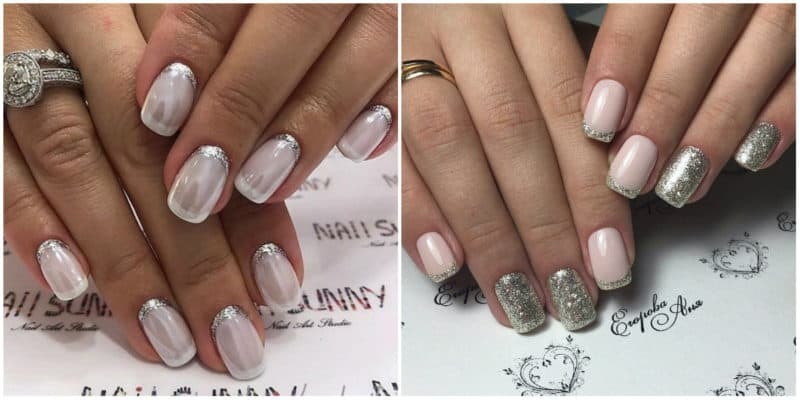 They look beautiful in any color, but with white nail polish shade your nails will look even more attractive than you can imagine. 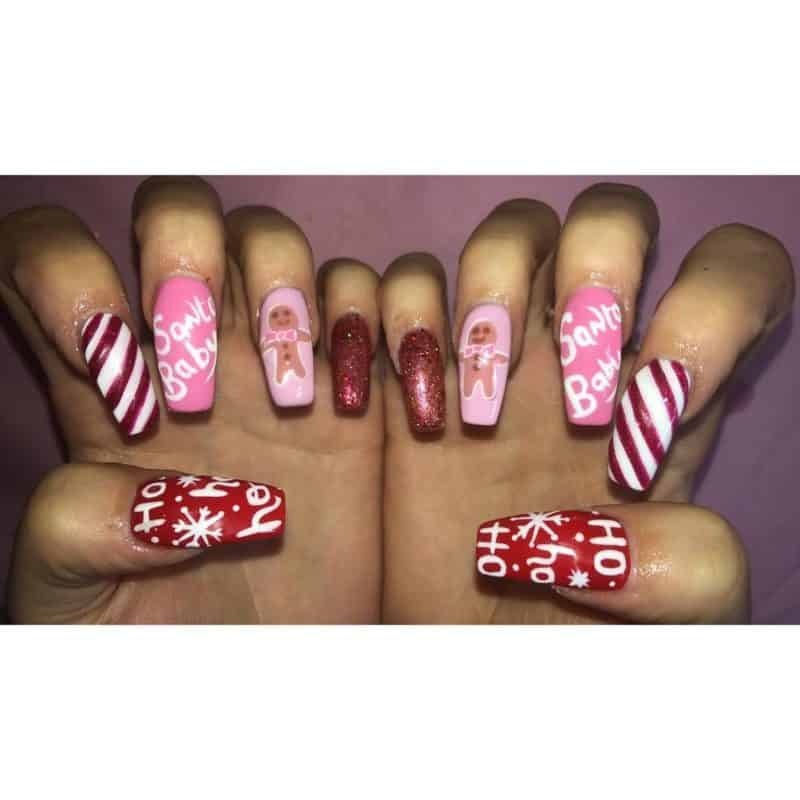 Provided you want to get a very attractive and an eye-catching nail design, then draw ornaments and thematic winter drawings on your nails, using special nail design brushes. 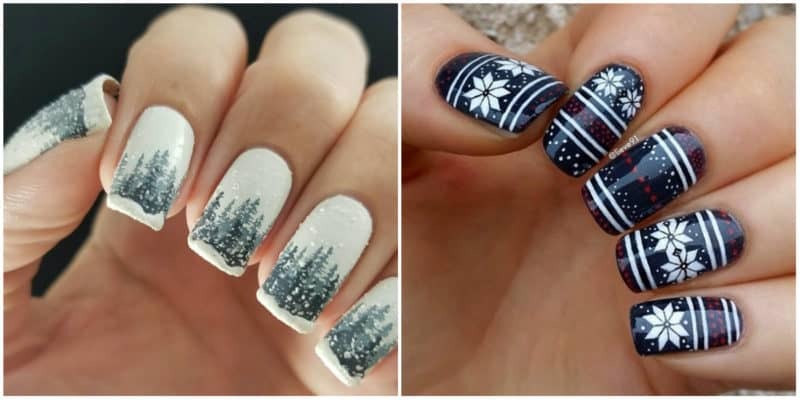 You may also draw typical winter ornaments that are used mainly for winter pullovers and sweaters. You are fond of trendy looks? 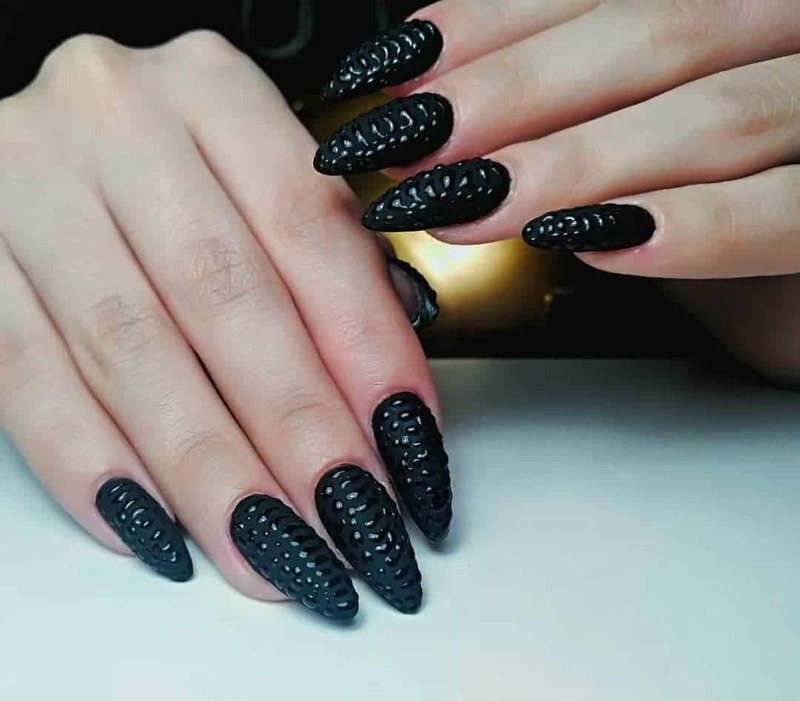 Then apply glitters on nails. 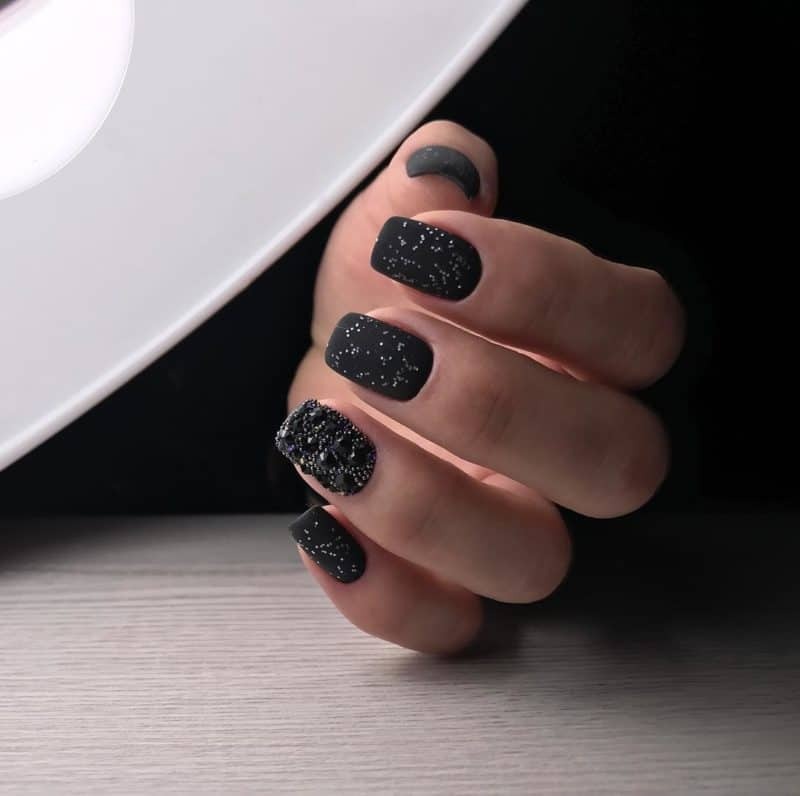 In condition that you aren’t keen on accentuating nails with glitters, then apply glitters on one or two nails. Paint the other nails in pastel shades. 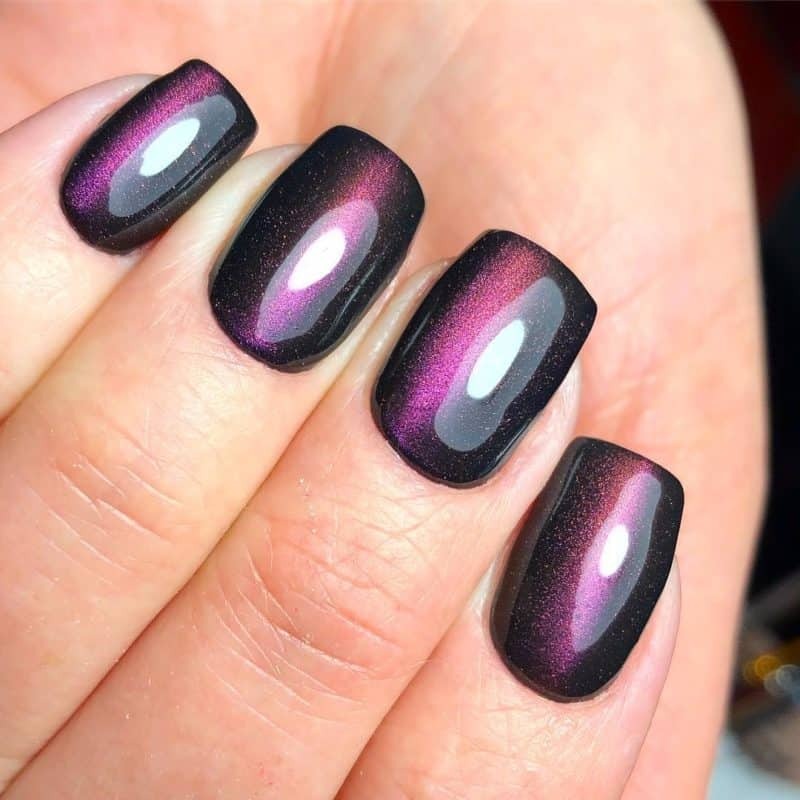 This style is so magnificent that you don’t have to change your nail color too often. 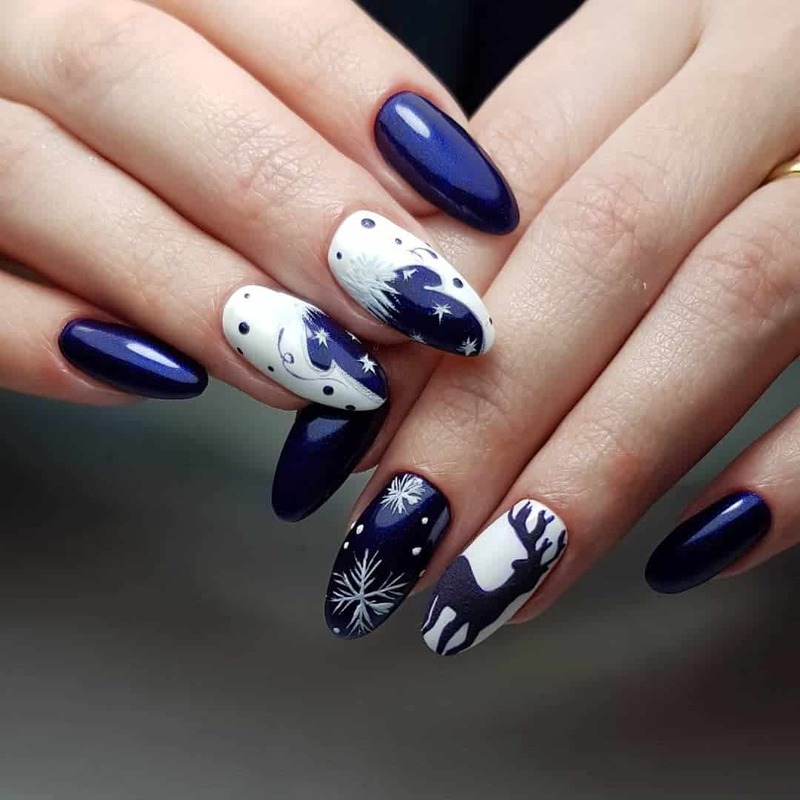 Consequently, the palette of winter nail colors 2019 is so various: starting from white ending with dark bordeaux and aubergine shades, that you really have a nice palette to get nail designs that you wish to have. 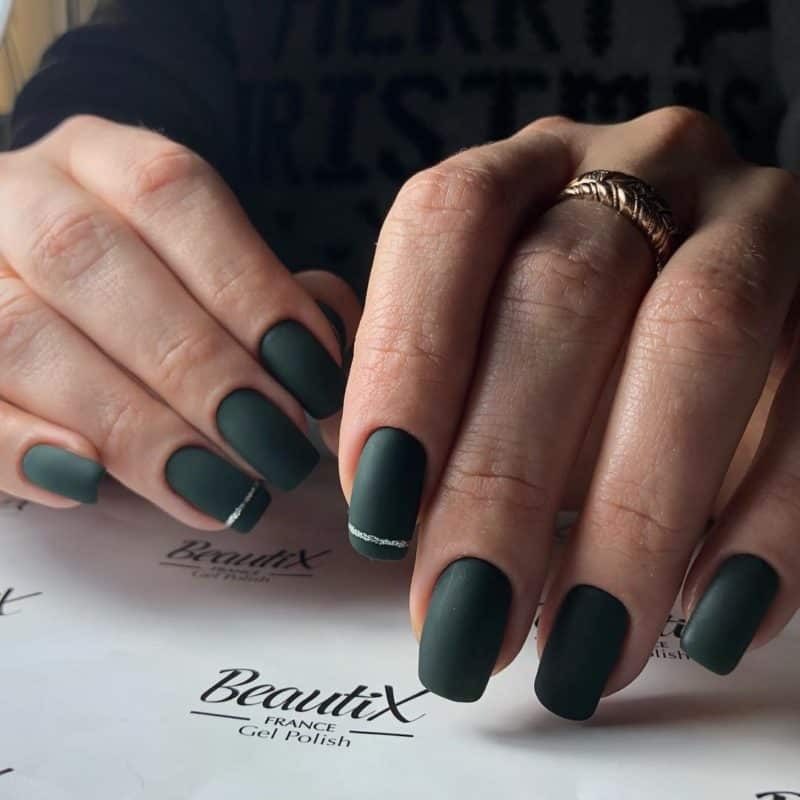 So, get ready for winter nail designs and color them with trendiest shades of this season.